Game can be paused now. Trying to reveal an already revealed square will reveal unmarked squares around it if the number on the square is same as the number of marked squares around it. Working fine. It's a nice feature missing from most minesweeper games. Thanks for implementing it! I can't decide if it would be better to include the marked squares in the highlight. It's fine as is. @nobgu Thanks for the suggestion. 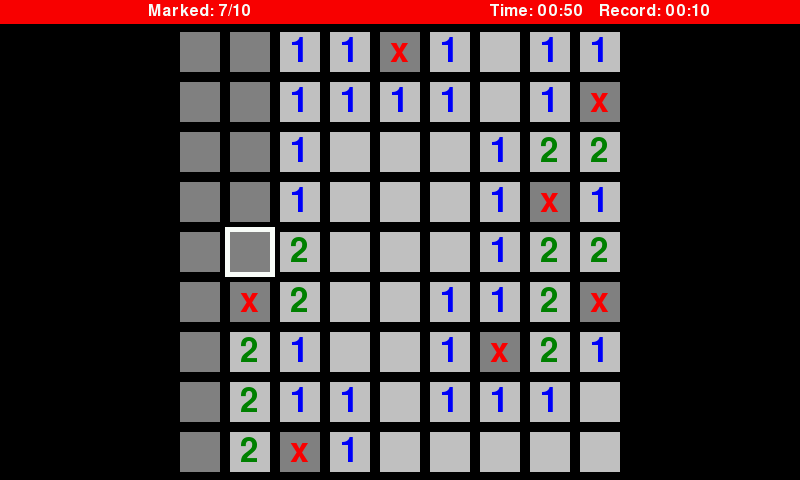 I wasn't even aware that you could do that in (at least some) minesweeper games. It's implemented now in the latest version (I hope it's working correctly).